Words: Zac Kurylyk. Photos: Horizons Unlimited (we think … most of them anyway). Do you want to quit your job, hop on a motorcycle, and ride madly off in all directions? 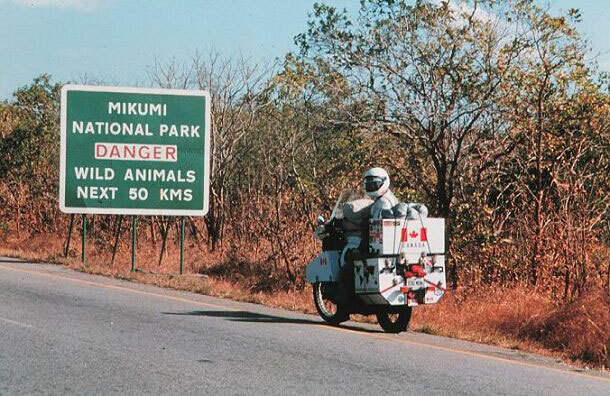 That’s kind of a silly question – what red-blooded motorcyclist wouldn’t jump at the chance to travel abroad on a bike? But, most of us never do, because of a shortage of funds, fear of life on the road, or some other perceived problem. Grant and Susan Johnson are doing their best to change this. The B.C.-based couple has spent decades travelling the world on their BMW and are probably best known as the brains behind the Horizons Unlimited website, a resource that ties round-the-world riders together and provides valuable information about international travel. 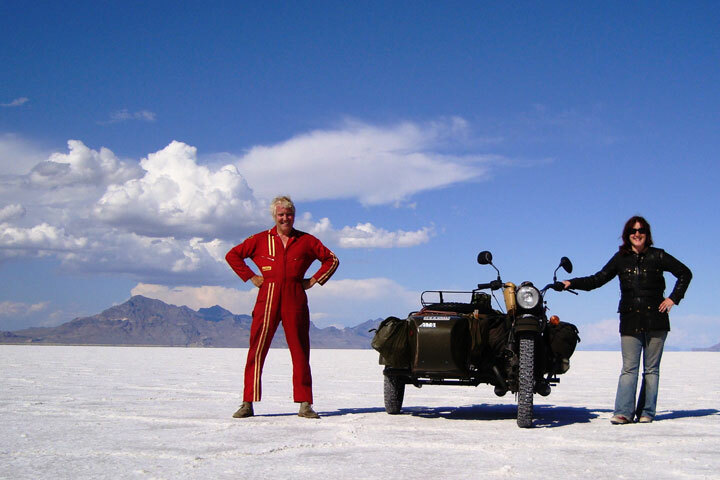 Still, the Johnsons thought they could do more to encourage people to get off their butts and ride around the globe, so they’ve come up with another resource: a five-DVD set entitled The Achievable Dream: The Motorcycle Adventure Travel Guide. 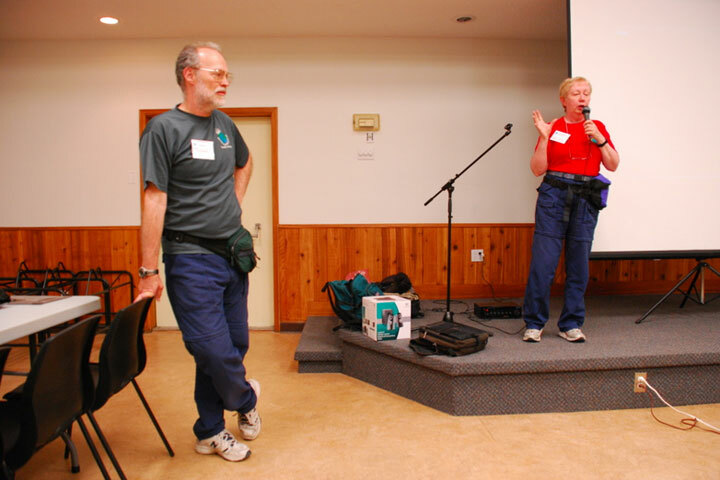 Grant and Susan Johnson – two Canadians that are helping to get motorcyclists to see the world. The DVDs aren’t about millionaire actors riding through Namibia with a film crew – they’re about average Joes (and Josies), and detail how they handle life on the road. They all have the same message: you don’t have to be a Herculean biker with mad off-road skills and boots full of money to pull this off. 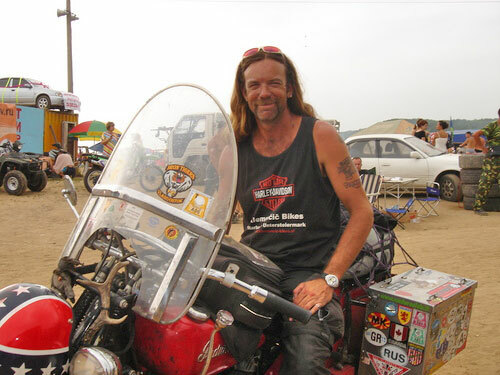 If a lack of funds is holding you back from motorcycle travel, there are interviews with folks who’ve been on the road for years, sometimes on very limited budgets – and they let you know, if they can make it work, so can you. Are you worried about your riding inexperience? Some of these adventurers had minimal time in the saddle before they hit the road. Are you worried about the challenges your age or gender present? There’s young, old, male, and female riders, who’ve all hit the road for distant horizons and came home safely. Just don’t stop … oh. The DVDs are also great at addressing more specific concerns of life on the road. For instance, the first one, titled ‘Get Ready!’ lets you know what steps you must take before you head out. You can’t just fuel up your bike and head out the door if you want to ride in Africa or Asia; you’ve got to ship your bike there, you’ve got import/export concerns to figure out, you’ll probably need vaccinations… you get the idea. The second DVD, titled ‘Gear Up!,’ discusses riding equipment, tools, gadgets, and everything else you’ll need along the way. The third DVD, titled ‘On the Road!,’ talks about day-to-day concerns along the road – if you wonder how to maintain access to your bank account, best places to camp, how to avoid bribing a border guard, where to find food along the way, this DVD spells it out. Austin Vince, and Lois Pryce add some humour. The fourth DVD, ‘Ladies on the Loose!,’ discusses challenges and concerns unique to women along the way (we’ll probably review this on its own at a later point) and the fifth DVD addresses one of the road’s most important mechanical skills: It’s simply titled ‘Tire Changing!’. You probably wouldn’t want to buy these DVDs for the entertainment value alone, although the interviews with some road warriors, particularly Brits Austin Vince and Lois Pryce as well as long-haired self-proclaimed redneck Doug Wothke are highly amusing. But some of these DVDs are five or six hours in length – that’s a long time to watch interviews with bikers sitting in camp chairs, and that’s mainly what these videos consist of, with the odd seminar interlude. Production values in the series may not be as slick as other DVDs out there, but again, the point is not to entertain, but to inform. Plus, you gotta dig that groovy retro-sounding music they start each chapter with. The whole set costs $139 U.S. (individual videos are $24.99 or $36.99 each, depending on length), and you can buy a lot of adventure bike documentaries like Mondo Enduro and Dust to Glory for that kind of money, and still have dough left over for a bikesploitation shocker from Wal-Mart’s discount bin. However, if you’re planning to ride around the world — or even thinking about it — you should consider these DVDs. Sure, much of the information is available online, but it’s much more effective information when you can put a face to the words. The price may cause you to balk at buying, but if you really want to ride internationally, you should have no problem recouping your investment with money and time savings. You can find out more about the DVDs, or purchase them, here. Great to see the Horizons Unlimited DVDs here on CMG. Even though I’ve been on the road before, I find watching them gets me up on the edge of my seat, looking at maps and raring to load the bags back on the bike! I found sound advice in all the small tips: Finding places to sleep, the right way to pay (or not pay) bribes, getting the bike repaired etc. I think you’d be surprised by the amount of people that would devour the whole series in one sitting!